Semi-Direct Fit Flange Flex Headpipe Repair Kit w/ Pipe. Flange Thickness: 3/8”. Flange Material: Mild Steel. Pipe Length: 18 1/2". Expanded Pipe Length: 2 1/2". Visible Flex Braid Length: 2 1/4”. Includes Gasket. Exhaust Pipe Inlet Connection Type : Pipe Connection. Exhaust Pipe Outlet Connection Type : Pipe Connection. Exhaust Pipe Material : Steel. Exhaust Pipe Overall Length : 54.5. Exhaust Pipe Wall Maximum Gauge : Undisclosed. Great accessories to dress up your rides. Many states are more stringent on exhaust modification laws and to pass SMOG. - Inlet ID: 2.4". - Inlet OD: 2.5". - Universal, welding and cutting, professional installation required. "Bosal Exhaust Gasket --. Condition : New. Cleared by comprehensive testing procedures for no-hassle installation and functionality ". Therefore all implied warranties that may apply to your part are limited to the duration of this written warranty. 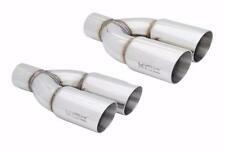 Pypes Performance Exhaust XVA14 Exhaust Crossover PipesPypes Performance Exhaust XVA14 Exhaust Crossover Pipes. Public Forums. Need to make a change?. Disclosure of Information Policy. Your credit card information is encrypted while traveling the Internet. Part #: 55367. Warranty Type: Manufacturer Warranty. WARRANTYWarranty Duration: Other. No local pickup option available. Trending at $68.08eBay determines this price through a machine learned model of the product's sale prices within the last 90 days. 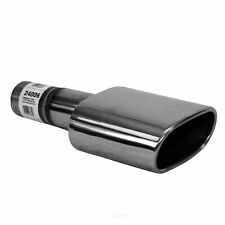 The Very Best 3800 Series II Downpipe In the Market. Depending on what you have done to your car it adds up to 15 HP. No catalytic converter. This will free up horsepower, but will throw your check engine light on if you do not have an o2 emulator or PCM programming done. One (1) Exhaust Flex Repair Kit. To minimize exposure, avoid breathing exhaust, do not idle the engine except as necessary, service your vehicle in a well-ventilated area and wear gloves or wash your hands frequently when servicing your vehicle. "Mr Gasket Exhaust Gasket -- MR GASKET ULTRA-SEAL EXHAUST MANIFOLD GASKET SET -- 1.55 in. Series : Mr Gasket Ultra Seal. Material : Steel. Under NO circumstances will our liability exceed the amount of the original sale. "Walker Exhaust Gasket --. Condition : New. Therefore all implied warranties that may apply to your part are limited to the duration of this written warranty. Each warranty gives you specific rights, and you may have other rights which vary from state to state. Part Number: 55204. Overdrive has been in the automotive parts industry for over 15 years. FIND THE RIGHT PART FOR YOUR CAR. QUICK LINKS. MIRROR ASSEMBLIES. MIRROR GLASS. OTHER PRODUCTS. Walker Exhaust 53202 Y PipeWalker Exhaust 53202 Y Pipe. Public Forums. Need to make a change?. Disclosure of Information Policy. Your credit card information is encrypted while traveling the Internet. This is a used part pulled fro a 96 Pontiac Grand Prix with a 3.1 Engine.fits various GM models with 3.1 or 3.4 V6 engines. Includes heat shield .Thanks for viewing . "Walker Exhaust Pipe --. Under NO circumstances will our liability exceed the amount of the original sale. General Warranty Limitations (Applies to all Product Warranties). The warranty is subject to the General Warranty Limitations below. The Very Best 5300 5.3 V8 Engine Downpipe on the market for Stainless water Jet Flanges, stainless hanger, and stainless o2 Bung. Depending on what you have done to your car it adds up to 15 HP. Front and rear gasket, hanger, and o2 Bung is included on this downpipe. Great accessories to dress up your rides. Many states are more stringent on exhaust modification laws and to pass SMOG. - Universal, welding and cutting, professional installation required. does not fit ", a proof of certificate by a professional is required. ZZPerformance provides you with highly specific technical information, not found anywhere else. This is a Polished stainless version and does NOT have a Catalytic Converter, so if you do not have PCM tuning abilities it will throw a check engine light. SLANT TIP WITH ROLLED EDGE DRY CARBON FIBER SLEEVE STYLE. 1 SET OF 4" OUTLET 6" EXHAUST TIP WITH DRY CARBON FIBER SLEEVE. DRY CARBON FIBER OUTER SLEEVE. Made by T-304 ultra light weight stainless steel with dry carbon fiber sleeve. 1x 525204 REF# 5b1990 2Pc section extension pipe & Y Pipe. 2000-2002 Monte Carlo SS 3.8L V6 Dual System. We will then sendwarranty procedure and details. a brief explanation of defect. Part must be new, uninstalled, in original box. Part Number: 41806. Outlet Connection Type: Pipe Connection. FIND THE RIGHT PART FOR YOUR CAR. Overdrive has been in the automotive parts industry for over 15 years. QUICK LINKS. MIRROR ASSEMBLIES. MIRROR GLASS. Each system is designed to bolt right on and provide years of trouble free performance. Exhaust Type :Single. Includes Exhaust Tip :Yes. Exhaust Tip Type :Rolled Edge Angle-Cut. Exhaust Tip Material :Stainless Steel. 5 out of 5 stars - 2005-2008 Pontiac Grand Prix GXP 5.3L Magnaflow Cat Back Exhaust Free Shipping! 1 product rating1 product ratings - 2005-2008 Pontiac Grand Prix GXP 5.3L Magnaflow Cat Back Exhaust Free Shipping! Prebend Tailpipes - 2.50 in. Rear Exit - Pair. Pre bent Pipe Kits. Flowmaster`s 16 gauge mandrel bent pipe kits are designed to fit perfectly onto your vehicle with all the quality and performance that you would expect from Flowmaster. PartNumber cor14184. There are lots of choices. This is what sets us apart from other exhaust manufacturers: RSCâ„¢ technology eliminates "problem" frequencies that cause interior drone/resonance at cruising speeds. Exhaust Manifold Downpipe. Exhaust Manifold Downpipe; 2.25 in. Inlet; 2.5 in. Outlet; Dual; 409 Stainless Steel;. Call our experienced tech staff for live help and detailed information regarding your vehicles.